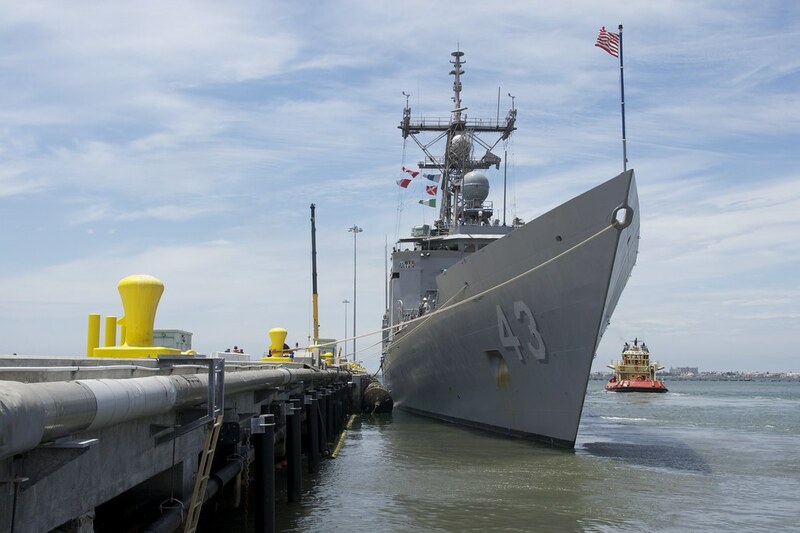 SAN DIEGO - The guided-missile frigate USS Thach (FFG 43) departed San Diego for a scheduled six-month deployment to the 4th Fleet Area of Operations, Jan. 8. Thach’s crew of 220 Sailors and Coast Guardsmen will be performing Counter-Illicit Trafficking operations designed to improve maritime stability within the region and protect free use of the sea lanes by thwarting the activities of drug traffickers and criminal organizations. Along with the crew of Thach, the drug interdiction team includes an interagency partnership with the ship’s organic Visit, Board, Search and Seizure team providing support for the Coast Guard Law Enforcement Detachment. Thach will be supported by helicopter detachment, HSL-49, Det. 2 based at Naval Air Station North Island. Joint, interagency and international partnerships strengthen U.S Third Fleet’s ability to respond to crises and protect the collective maritime interests of the U.S. and its allies and partners.